Until January 1972 the model range for the Saab 99 was pretty much the same as the year before. The only notable difference was that the 1.7 liter engine was absent. All 99s now came with the 1.85 liter engine developing either 88 or 97 hp. (The output had been slightly increased.) The most popular colors for the year were Verona Green and Amber Yellow, both new. Not that popular was Burgundy Red which soon had to make way for the previous year's dark green. Missing from the line up were Silver Mink and Savanna Beige. When the 1972 Saabs were presented with impact absorbing bumpers and electrically heated driver's seat as the big news, there were still only two models - a two door and a four door sedan. Six months later there were three. By that time Saab 99 EMS had made its debut, positioned as a sporty luxury equipped 99 - a step above the standard models. In May of 1972 the Saab-Scania Automotive Division was split into the Saab Car Division and the Scania Division. The passenger car division moved its headquarters to Nykoping. But this did not mean that all Saab car activity left the city of Sodertalje. A new factory had just been completed within the Scania facilities for the Saab 99 engine, which thus had moved from England to Sweden. In Sodertalje the majority of all research and development on Saab car engines is also conducted. 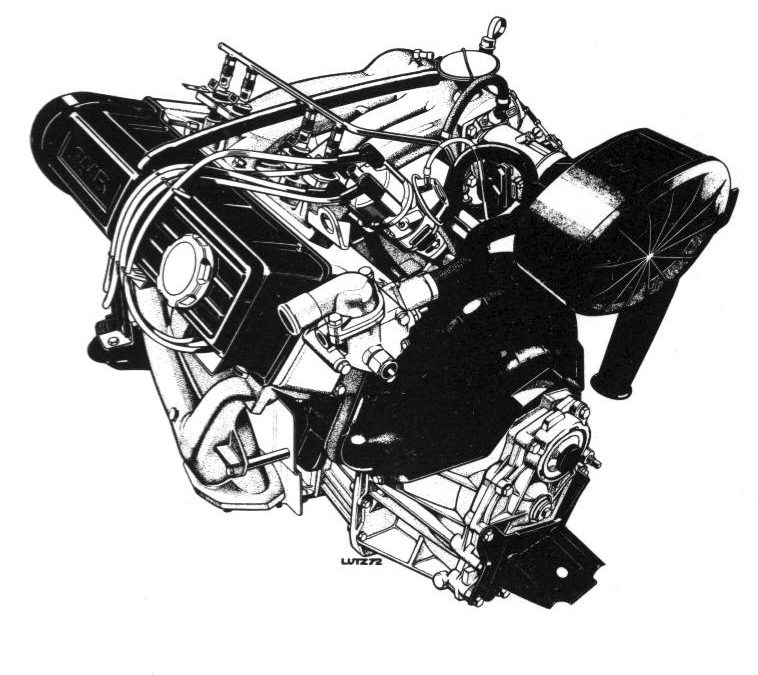 The Sodertalje-built engine made its debut in the EMS, where with electronically controlled fuel injection it developed 110 hp. The letter combination EMS originally stood for Electronic-Manual-Special and was the badge for the sporty, luxury equipped 99 that appeared in early 1972 - a two-door model with manual transmission. Among special features were alloy wheels with wide rims; steel belted tires; metallic paint; black grill; leather covered steering wheel; tachometer - and the new Swedish built 1,985 cc engine developing 110 hp. The engine design was similar to the English unit, but the new powerplant was nearly an entirely new construction. The Swedish magazine Teknikens Varld named Saab 99 its Car of the Year in 1972. In the jury's commendation it was started: "The nomination off Saab 99 is a reward for details, details that put the car in a class by itself in the market place. An already good Swedish car has become even better - proof of what can be done if one is willing to try. "Among details cited were the impact absorbing bumpers with their cellular "memory" blocks of plastic. Slow speed impacts, up to 5 mph, would not damage car, or bumpers. A cut-away of the new bumper. The cell blocks absorb energy through deformation and then return to their original shape. 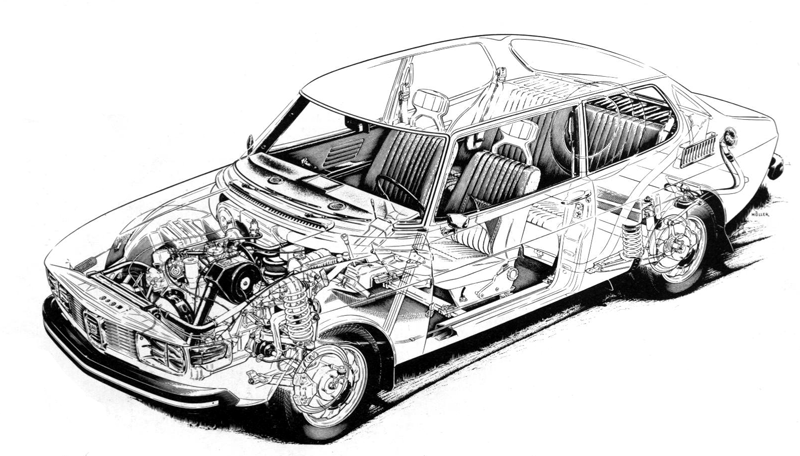 1972 Saab 99 in an X-ray view. The 1972 Sonett could be recognized by its new grill, with a theme that was later incorporated into the 99. The rear panel was painted black, while the rest of the body carried light and bold colors. The wheels were wider and made of aluminium alloy. In 1972, 2,080 Sonetts were built. Saab 97 - i.e. Sonett III - was given a new grill and aluminium alloy wheels for 1972. For 95 and 96 models the model year brought few changes. The most important was that the driver's seat was electrically heated, a Saab innovation that also came on the 1972 Saab 99 models. Beyond that the wheels had new design (to protect against dirt on the brakes); the bumper guards were made of black rubber; door locks had been improved; and the color and upholstery program had been revised. To sit on a cold surface can be both uncomfortable and unhealthy. A thoroughly chilled car seat feels cold for quite some time after you sit down in it - unless it can heat itself. 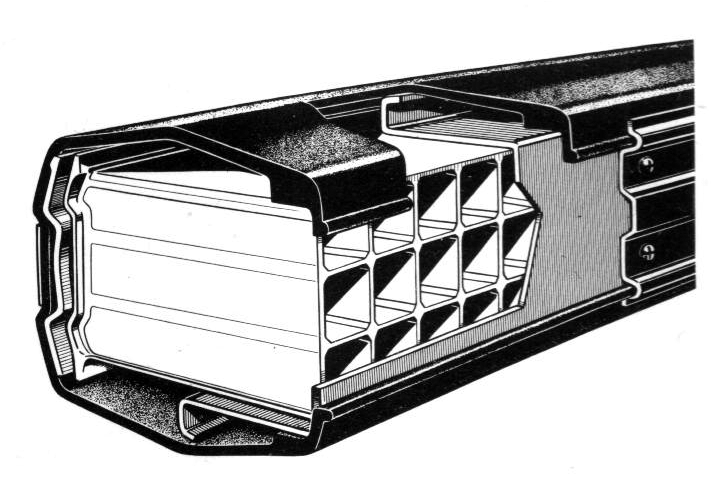 A much noted innovation on the 1972 Saabs was the electrically heated driver's seat. Saab 95 and 96: Well tested and steadily improved over the years. Among 1972 innovations were the black rubber bumper guards and new design steel rims.